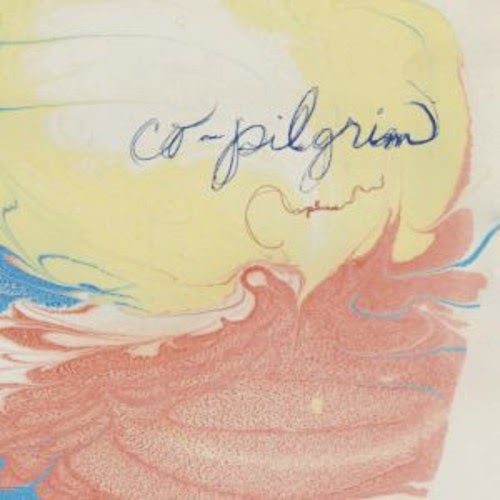 Discussions Magazine Music Blog: SPAZ reviews CO-PILGRIM's 2014 album PLUMES! SPAZ reviews CO-PILGRIM's 2014 album PLUMES! Call me cynical, but I think a lot of the Americana/Alt-Country acts are simply hipsters who couldn’t make it as an Alt-Rock or Indie band so they grew beards and they kicked the second guitarist out and brought in a banjo player. With the ‘anti-hipster’ movement slowly gaining steam, these bands will eventually shave and bathe and pretend to be the Goo Goo Dolls or Radiohead again. Thankfully, there are exceptions and, as you would probably guess by the fact that I’m reviewing their new album, Co-Pilgrim is one of them. Are Co-Pilgrim Americana, Alt-Country or hipsters? Well, kinda sorta yes and kinda sorta no. I tend to think of Co-Pilgrim as a band on the outskirts of Americana town but still intertwined with its inhabitants. Based out of the UK and led by singer/songwriter Mike Gale, Co-Pilgrim occupies a musical space that combines the harmony-laced Americana sounds of Band Of Horses with traditional Pop and atmospheric Folk. The ghostly backing vocals and crying slide guitar adds a haunting atmosphere to many of the songs, bringing the emotion to the surface and allowing the melodies to wrap themselves around the listener like a comforting blanket. Standout tracks include “Grew Into Something New,”, “I Know Love,” “Pushover,” and “Dancin’ Hoods” but practically anyone will be able to find something here that suits their fancy. Like a hug from an old flame that you still long for, Plume is an album that both hurts and heals. Simply lovely.